WordPress websites uses web forms to collect data from users. There are various plugins available in market which help users to create web forms easily and effectively. Groundhogg provides connectors for the majority of major WordPress form builders. Regardless of the form builder, the process to connect it to Groundhogg is the same. 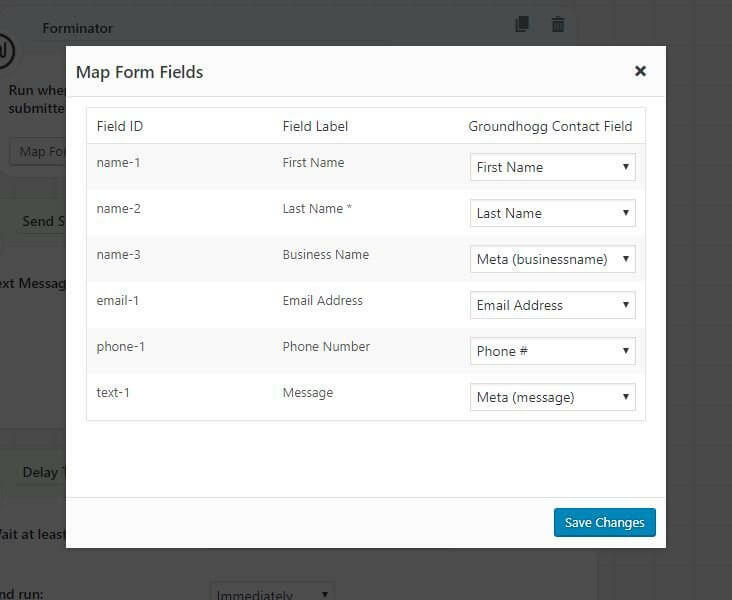 To connect Groundhogg to your form builder you need to download your connector of choice plugin (Click Here To Download). Once you have downloaded and activated the plugin you will be able to see a new benchmark icon inside the funnel builder. Once you drag in the new benchmark into your funnel you will be able to select your form from a list of form you already have installed. Once a from is selected a button will appear prompting you to map form fields. Click on it and a popup will appear showing all the fields in a form. Once you have mapped all the fields click save changes and you can test the connection.